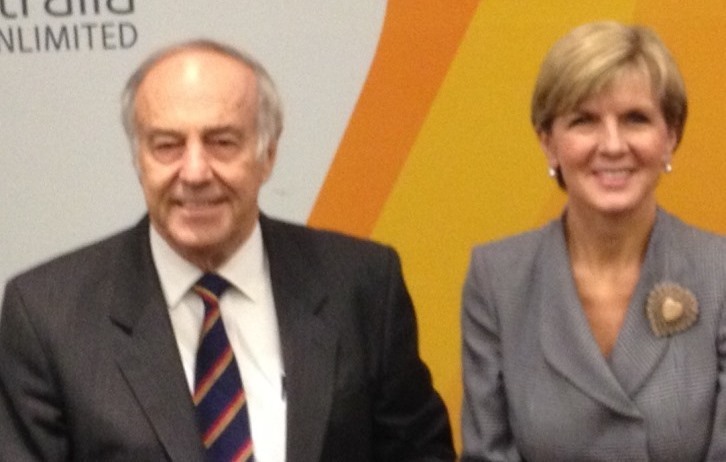 The Foreign Minister of Australia, the Hon Julie Bishop launched the new AGAAR on Friday 4th September. She stated that the group would advise her and the Australian Government on economic diplomacy and development of Australian African mutual interests within Australia’s overall international engagement. These equal partnerships in mid-term programs and a long term framework for cooperation would inform the government and stakeholders with evidence based policy options. The Advisory Group was charged to help develop such a framework. The emphasis would be on sustainable and specific activities, with Australian African characteristics, in key sectoral areas and with key countries. The approach would build teamwork between governments, academic and business, along with NGO’s and international agencies. The AGAAR is Chaired by Peter Coleman, CEO of Woodside (read opening speech), and includes ten members from relevant sectors. Professor John Hearn is a member with representation and interests in universities, higher education and research. As Executive Director of the Worldwide Universities Network he is overseeing the development of a WUN Global Africa Group across the network, the Australian Members of which are Sydney and Western Australia. Key research and education competencies of AAUN and WUN are in food security and environment, public health, higher education, natural resources, and public sector reform. The programs include research, exchange and expert training. AAUN is supported by funding from the Department of Foreign Affairs and Trade (DFAT), Department of Education and Training, the Australian Centre for International Agricultural Research (ACIAR), and the International of Mining for Development Centre (IM4DC). John Hearn, also Professor of Physiology in the University of Sydney Medical School, lived and worked in Kenya and Uganda for ten years, and assisted in WHO projects for research capacity development over 25 years.